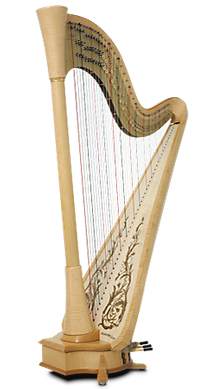 1.1 The 4th International Harp Competition will take place at Reök Palace in Szeged, Hungary from November 30 to December 4, 2016. 1.3 All stages of all categories of the competition are open to the public. 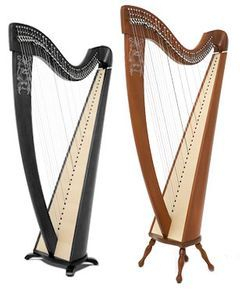 1.4 Harps sponsored by Camac, and individual practice time, will be provided for contestants. Contestants may use their personal instruments, at their own liability and costs. 1.5 By participating in the competition, contestants agree to their performances during the competition being recorded. They also agree to these recordings being broadcast in Hungary and abroad at any point and via any means of transmission. 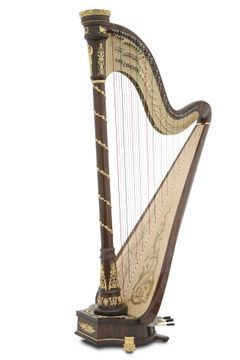 Contestants waive all claims to renumeration arising from the use of the above named recordings by the International Harp Competition in Szeged. 2.1 The deadline for registration is September 30, 2016. 2.3 The signed application form, by which the contestant accepts the rules and regulations of the competition, shall constitute a contract between the contestant and the competition. 2.4 Should the number of contestants be too large, an initial selection will be made. The decision of the organizing committee is final. 2.5 Contestants who are admitted to the competition will receive an individual notification by e-mail, no later than October 15, 2016. 2.7 The registration fee should be paid on arrival at the competition. The registration fee is non-refundable. 2.8 In case of too high number of contestants the organizing commettee will make a pre-selection based on who sent the application first. 3.1 Contestants are expected to use original scores of the works they perform and must be able to supply the scores used in their programme to the organizing committee. Contestants must provide 3 photocopies of each piece (except the set pieces) for the jury. Photocopies will be destroyed after the competition. 3.2 The entire programme in each age category has to be played from memory. 3.3 The order of performance is left to the contestant’s own discretion. 3.4 Should a performance on stage last longer than the stipulated duration, the Jury are permitted to interrupt the contestant. 3.5 The order in which contestants perform at the competition will be determined by drawing of lots. The draw will be executed by the organizing committee, in the presence of the main patron. All contestants will receive an individual notification by e-mail with the time of their performance. This order of performance will apply throughout all stages of the competition. 3.6 No more than six contestants may advance to the finals of category U19 and U25. 3.7 The decisions of jury are final and there is no right of appeal. 3.8 The announcement of all prize winners, and the distribution of the prizes, will take place during the closing ceremony. Prize winners will be required to play at the closing ceremony. 3.9 Each prize winner will be awarded a diploma. All contestants will be awarded a certificate. 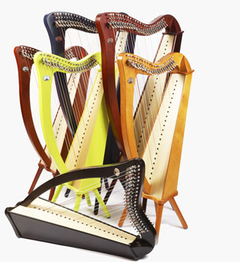 4.1 The jury consists of harpists and a non-harpist. 4.2 One of the members of the jury will be appointed chairperson by the organizing committee. No further discrimination is made between members of the Juries. 4.3 All members of the jury must be present for all stages and deliberations during the competition. 4.4 The jurors will rank the contestants according to the procedure established by these rules. 4.5 The decisions of the jury are final and there is no right of appeal. 4.6 The jury will vote by secret ballot. 4.7 Prior to first stage of each category, jurors will be asked to submit a conflict of interest disclosure form identifying contestants whom they have taught in either a private lesson or class setting. 4.8 Jurors may not vote for or take part in any discussion about a contestant who is currently studying with them or who has studied with them in the past. In the case of master classes, jurors must declare if they believe a student/teacher relationship was/has been established. 4.9 Throughout the entire competition the jury shall refrain from having any direct or indirect contact with any active contestant or his/her next of kin. The only exception to the contact restriction is a health emergency requiring assistance from a medical professional. 4.10 There is to be no conversation between jurors, including positive or negative comments, in the audition hall during the stages. 4.11 Jurors are required to avoid talking about active contestants and discussing their performances among themselves at all times and to refrain from influencing other jurors during the competition. 4.12 Specific time after each category's final stage will be set aside for the jury to meet with contestants who are no longer active, to share performance insights and to answer questions. 5.2 For each stage the contestants with the highest average scores will advance. 5.3 After each stage, jurors will submit their completed evaluation forms to the jury assistant. Jurors will abstain from judging participants who are or have been their students. Jurors should turn in blank evaluation forms for contestants whom they have taught. 5.4 The evaluation forms will be confidential at all times. 5.5 Jury deliberations are to be regarded as confidential during and after the competition. 5.6 No jurors will be allowed to see the evaluation forms of other jurors. 5.7 Points may not be changed once the stage's evaluation forms have been collected.